So isn’t China, Indonesia, Australia, New Zealand and Singapore, yet they have a mug and pennant. Why Hong Kong doesn’t have one? Tbh please do make one im sure it’s easy to reskin a mug and pennant. The more the merrier! The CAP contents haven't kept exclusively to European countries and territories. And maybe caps with flags of countries like that PM logo? The cup Morocco is it planned soon? I love this add-on pack! So many interesting things in there and it's of course one of the first that will be added to any new driver. However I do have some requests to make, I didn't look into modding ETS2 myself so I have no idea if it's even possible. Just a request there for. - For the window attachments (flags and what not), would it be possible to raise the attachment points a big higher so you won't have things hanging in your line of sight as much? - For the cup holders it would be amazing if you could actually use them properly, as in place actual cans in there or something else that should belong in there. 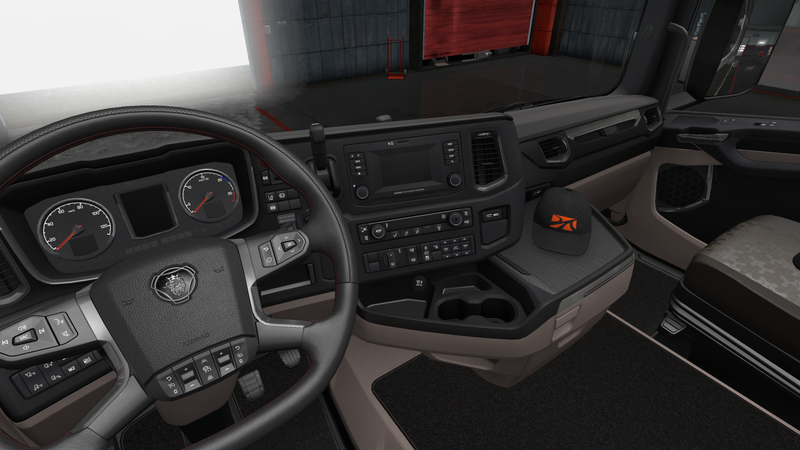 - For the trucks that do have space overhead (or in the doors if space available), perhaps it would be interesting to have things like folders, magazines, maps or newspapers that you can place there.